Slice the bar soap and dilute it in 1/2 litter water. grind the Bird’s eye chili and mix it with bar soap solution and cow urine. Mix well all the ingredients and filter it. You can use it now by adding 10 litter water in this solution. Please be remember that don’t use this directly on plants. you should dilute this urine/bird’s eye chilli mixture with 10 times of water. click here to purchase gomutra online from amazon and other shopping portals. We have discussed about organic fertilizers and pesticides here. You can use cow urine as a good organic fertilizer and pesticide. This is best for the cultivation of spinach aka cheera. 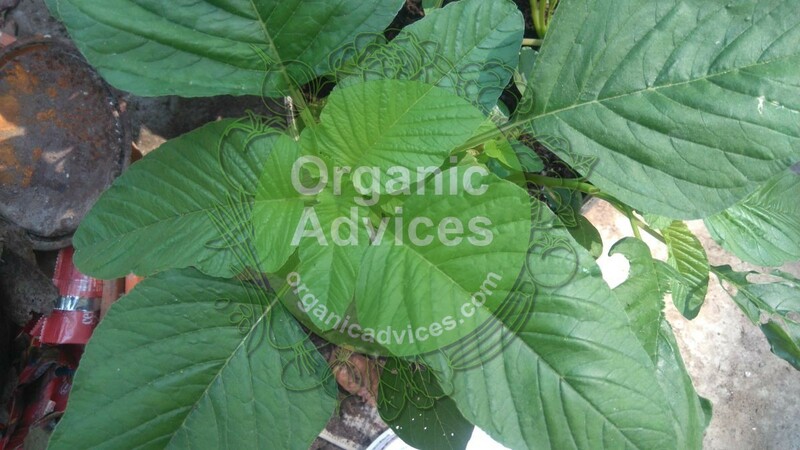 You can check how to make a good and effective organic fertilizer. It can use as a organic pesticide, we can prevent some attacks by the insects with this. This is using as an effective organic fertilizer in india and other countries. You can use it alone and mix with some other ingredients to get good results. Please be remember that do not apply directly to the plants. you need to dilute it 10% with water and apply to the vegetables. means 1 litter cow urine should dilute with 10 litter of water. It contains 95% Water, 2.5% Urea, 2.5% of Minerals, Hormones, Salts & Enzymes. we can make natural fertilizers like Panchagavya, Amrit Jal, Jeevamrutham etc with Cow Urine. With the help of these natural fertilizers we can improve the growth rate of plants and that will be results in increase in production. All these organic fertilizers are cot effective and eco friendly. Excess Usage of Chemical fertilizers Will spoil the soil structure. This type of natural fertilizers improve the soil structure and it will help us to cultivate healthy veggies. what is the alternative if cow urine is not available? Please clearly described the usages. in organic farming distilled cow urin is use or directly use? no,dilute with water. 1o times of water need. How is cow urine collected? what is cow urine 10 benefits in chili crop . This is definitely a good quality fertilizer but in pest control it is not so effective.